In the mid-1990s, when they were both flight test engineers in Bombardier’s Dash 8 program in Toronto, Julian Chin and Don McNabb would sit outside the hangars at lunch and watch aircraft manoeuver around Downsview Airport. They were both new to the city, and far from home. Chin was born in Guyana and moved to Canada to study at Centennial College’s aircraft maintenance engineer (AME) program before joining Bombardier. McNabb, a fellow AME, is from the small northern Ontario town of Geraldton, about a 13-hour drive from Toronto. They were paired together frequently at Bombardier and became close friends, thanks in large part to their shared work ethic, high personal standards and deep trust in one another’s work. 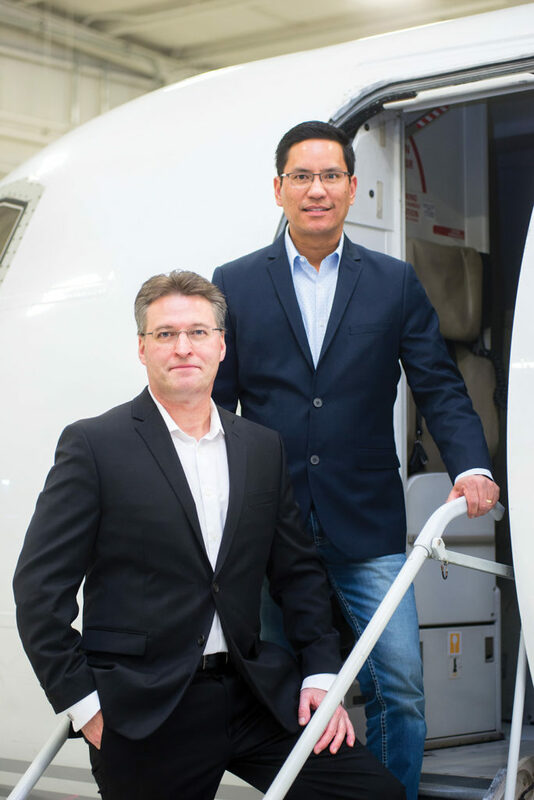 “We would never duplicate,” said Chin, who later joined forces with McNabb to create JD Aero, an elite maintenance, repair and overhaul (MRO) and fixed-based operator (FBO) in Sault Ste. Marie, Ont. “We would always know what the other one is doing instinctively and trust that they will do it the right way. So I would go on to the next step, and so forth. In their Bombardier days, Chin and McNabb talked about how they would run their own company. 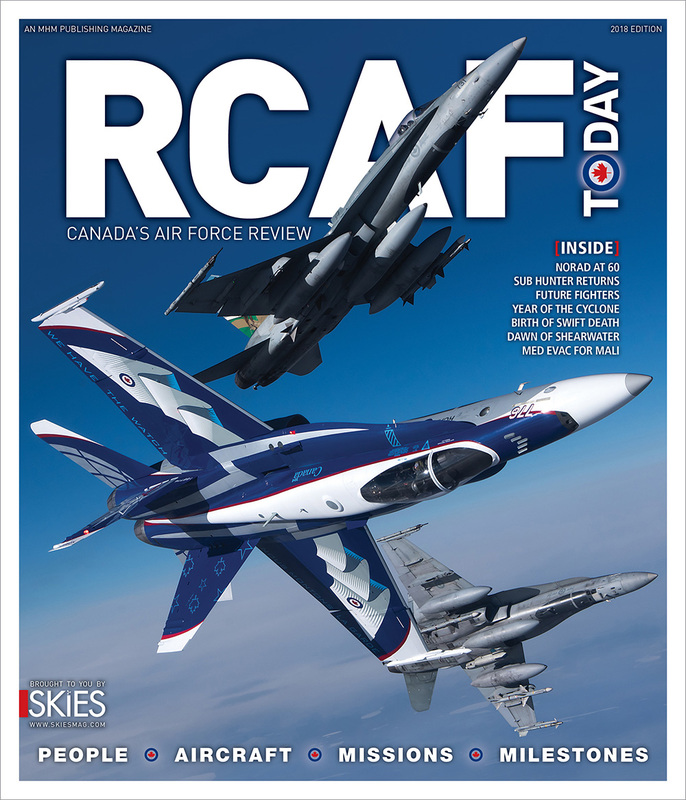 A series of layoffs–first at Bombardier and later at Field Aviation, where they also worked–nudged them toward their dream. Still, they were young, ambitious, and had enough money saved to take the leap. In the mid-2000s, just as the industry was beginning to recover from the post-9/11 downturn, they decided to chase their dream. The dream did not become reality overnight. After they were laid off from Field Aviation in 2003, production was beginning to ramp up again at Bombardier. Flybe, a low-cost airline based in the United Kingdom, had placed a large order for Q400s and needed someone to represent them for quality assurance purposes. Chin and McNabb put together a proposal and won the contract. Soon, they were doing the same type of work for Qantas Link, Air New Zealand Link, and Hydro Quebec at Bombardier’s Downsview facility, and several other airlines. In addition, they started supporting E-Jet representation for Flybe, BA City Flyer and LAM Mozambique at Embraer’s facility in São José dos Campos, Brazil. Their company, then known as JD Aero Maintenance, was beginning to take off, with clients all over the world. But Chin and McNabb were still AMEs at heart, and they wanted to get back to their roots. They decided to start their own MRO facility in Sault Ste. Marie, in the former NorOntair hangar at the local airport. 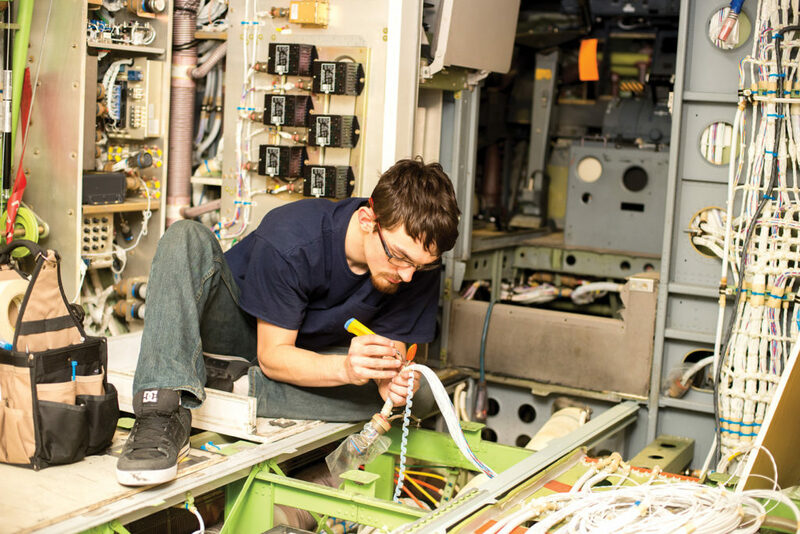 JD Aero started with just three employees and gradually added clients until it received a contract for heavy maintenance on Porter Airlines’ entire fleet of Q400 aircraft. As the company built a reputation for exceptional work, word got around. Other major airlines took note, and signed on for similar work. Today, the company completes heavy maintenance, line maintenance, modification and installation work for the Q400 fleets at Porter, WestJet Encore and Horizon Airlines. It also completes heavy maintenance for Nav Canada’s Dash 8 and CRJ aircraft. JD Aero’s workforce in Sault Ste. Marie has grown to over 130, working out of 81,000 total square feet of hangar space. The business is thriving, and beginning to break new ground. JD Aero has worked hard to build a culture based on mutual respect, innovation, safety, accountability, excellence and dedication to its work. The company places a high value on relationships, working with clients to build the best possible solutions. The goal is to provide an experience unlike any other in the industry, from start to finish. 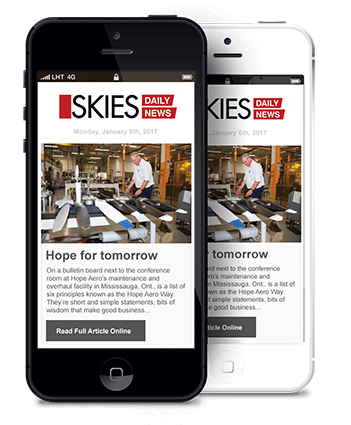 “We’re an extension of the airline, essentially, when they have an aircraft at our facility,” said McNabb. “We instill into the people that we work on these airplanes like they were our airplanes. A great deal of the company’s growth has to do with relationships and word of mouth. There is no sales team at JD Aero; its contracts are a product of its reputation and referrals from clients. “It comes down to the fact that we have good experience on the products we work on, our price point is good, the quality of work is excellent,” said McNabb. JD Aero is an approved maintenance organization (AMO) for Bombardier’s entire Dash 8 Series, as well as the CRJ Series 100, 200, 700 and 900. Its original 30,000-square-foot hangar is complemented by a second 30,000-square-foot hangar built in 2011. In 2016/2017 the company completed an addition to the original hangar that allows it to run four lines of Q400 heavy maintenance simultaneously. All renovations were supported by the Sault Ste. Marie Airport Development Corporation. “There’s a lot of pride in the work that goes into the everyday here,” said Marcus Labelle, a long-time employee who serves as JD Aero’s production manager. While culture can be hard to define, Labelle noted the extraordinary camaraderie that exists among JD Aero employees. “It’s very friendly on the floor,” he said. “I think that’s reflected in every aircraft that we deliver. Many of the employees are friends as well as colleagues, and the company leadership actively invests in its people, seeing them as their biggest asset. “I truly believe that: You look after the employees, and they will look after the business,” said Julian Chin. JD Aero’s new Avjet FBO opened in January 2018 and is a key part of a diversification strategy aimed at moving the company into an even more prosperous future. 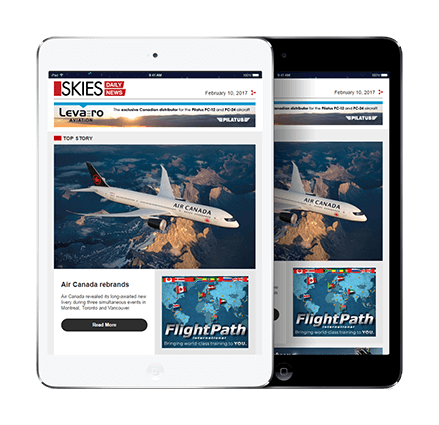 This is Avjet’s first FBO foray into Ontario, with most of its other facilities located in Quebec and the Maritime provinces. In addition to jet fuel sales for heavy maintenance and business aviation customers, the facility has a contract to provide fuel for all Canadian military and federal government aircraft that fly through Sault Ste. Marie. Its hangar can accommodate aircraft up to the size of a Boeing 737, as well as separate lounges for passengers and pilots, a cafeteria, flight planning area, shower and laundry facilities and two executive conference rooms. Canada Customs clearance is onsite, with Canadian Border Services available 24/7. De-icing services, on-call maintenance, catering, car rental arrangements and hotel reservations are all part of the customer experience. “Avjet’s been an excellent partner,” said McNabb. “They have great connections. So in addition to actually supplying us with the fuel, they’ve been very positive in helping us with the business development of the FBO. While the FBO is a key part of JD Aero’s future, the company also hopes to diversify its maintenance operation to include aircraft other than Q400s and CRJs. Key possibilities include Boeing 737-series aircraft, and Embraer E-Jet airliners from existing customers. “It only makes sense for us to go with the type series that our current clients have, or are asking us to look at to help them with their fleets,” said Chin. Other goals include growing the employee base to as many as 160 people, which would allow the company to operate four lines of maintenance full-time at the current facility. JD Aero is considering expanding its current location to add a fifth and sixth bay for maintenance and/or opening a second location, possibly in Western Canada, to support customer demand. A paint shop, GTA-based composite/sheet metal shop and component overhaul facility are all business development ideas currently being explored. 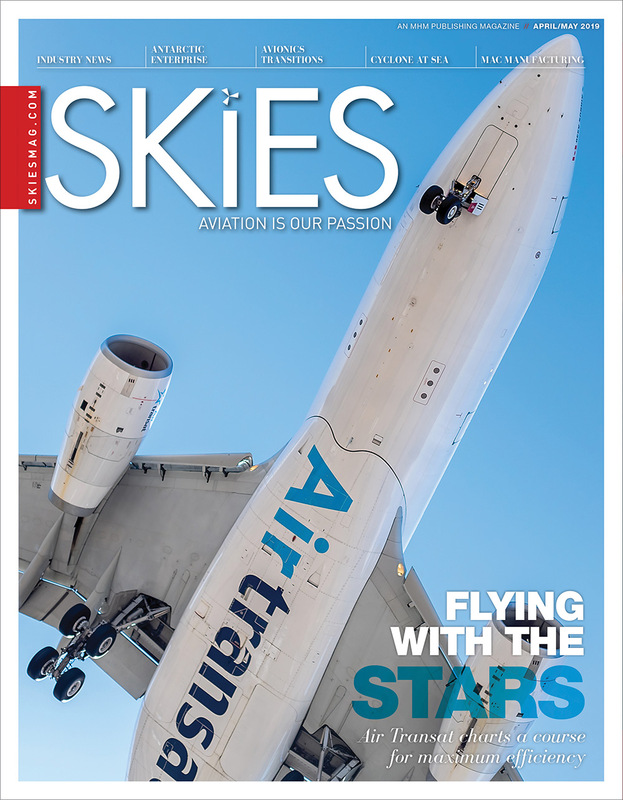 They have also floated the possibility of launching a small charter airline, following in the footsteps of Voyageur Airways and Avmax, which both have roots in the world of MRO. The dream they hatched on lunch breaks and at other gatherings nearly 25 years ago is brimming with potential. Sounds like their success was well deserved. Continued good luck! Fantastic company and a great story. Thanks for setting up shop in the Sault!